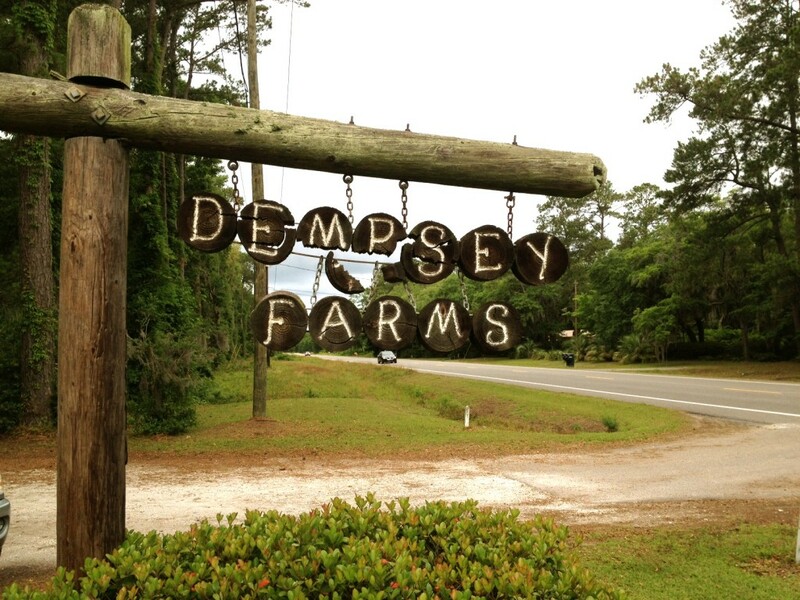 If you should leave Hilton Head Island, take route 170 toward Beaufort, cross the Broad River and keep heading out toward the water, pulling off to the right before you reach the Shrimp Shack on St. Helena’s Island, you’d find yourself at Dempsey Farms, one of the Lowcountry’s premier pick-your-own-produce destinations. 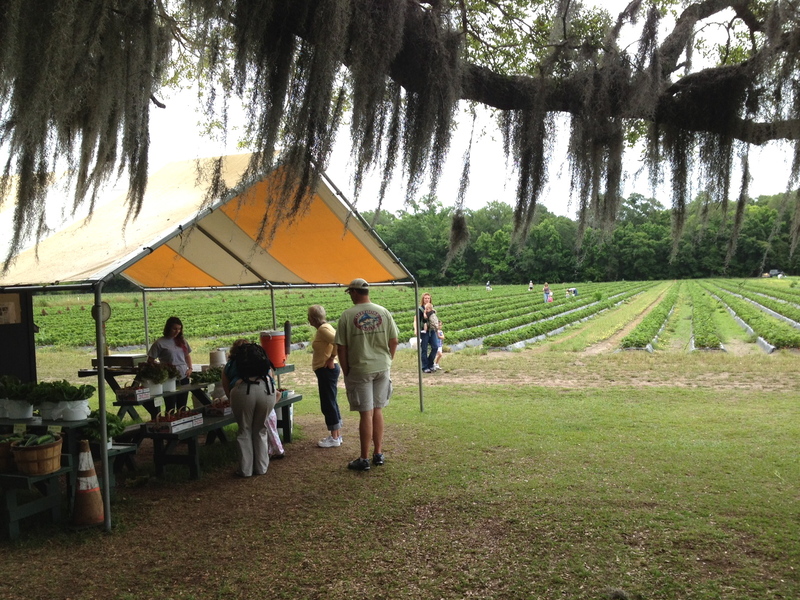 At least, that’s where my wife, Bev, and I found ourselves earlier this week, in search of fresh strawberries. You might think you’ve missed it until you see a couple of signs, one that begs for a bottle of Elmer’s Glue. Don’t let that deter you. One of my Irrevocable Laws of Good Eating is that you can’t judge the produce by the condition of the signage. If a farmer is too busy trying to keep up appearances, I’m a little wary. Would you want your plumber to show up in a pressed shirt and clean pants? I didn’t think so. Just be content to know your farmers are out there farming; the signs can wait until winter. 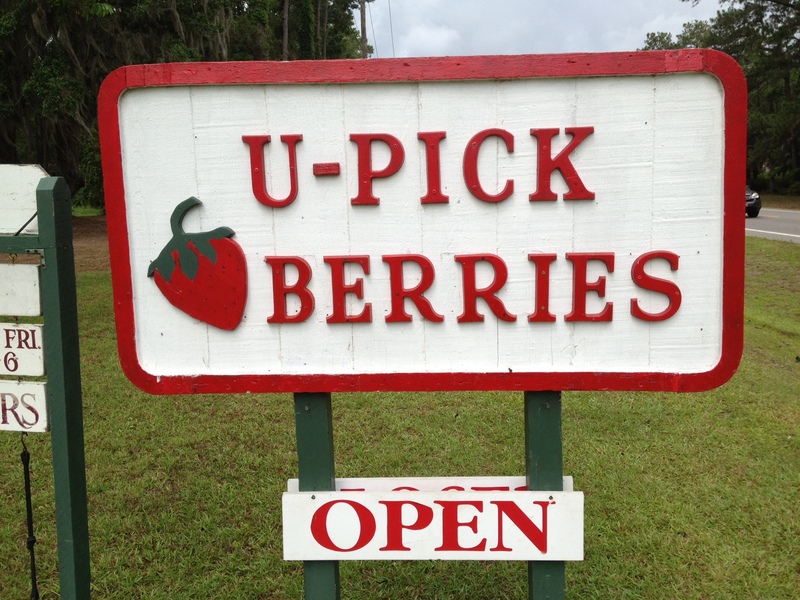 Where we live, there are closer spots to buy strawberries – indeed, 5 supermarkets within ten minutes of my home – but supermarkets are all about expediency, efficiencies, and supply chains. That’s why, no matter the season, supermarket strawberries always taste homesick, like November or January, not like sweet May or June and just-a-moment-off-the-bush. 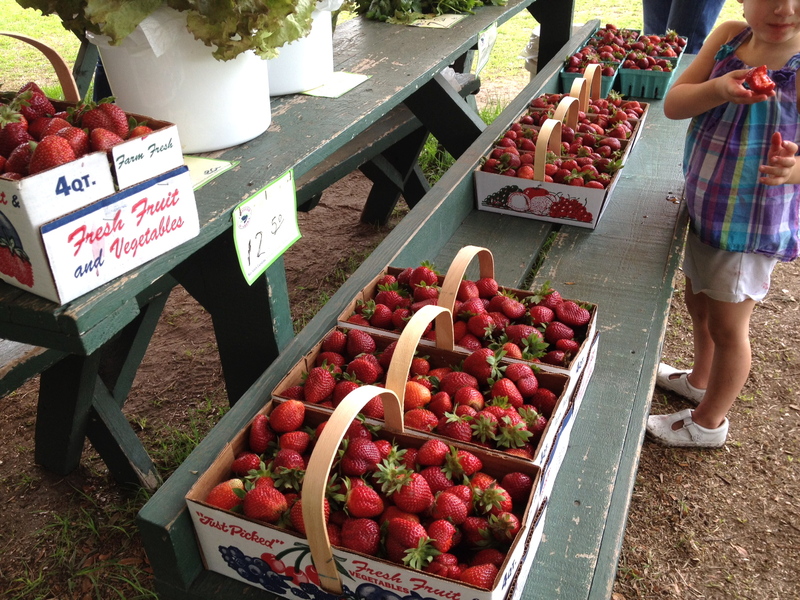 The flavor of local, fresh picked strawberries is trip worth taking when the season is upon us. 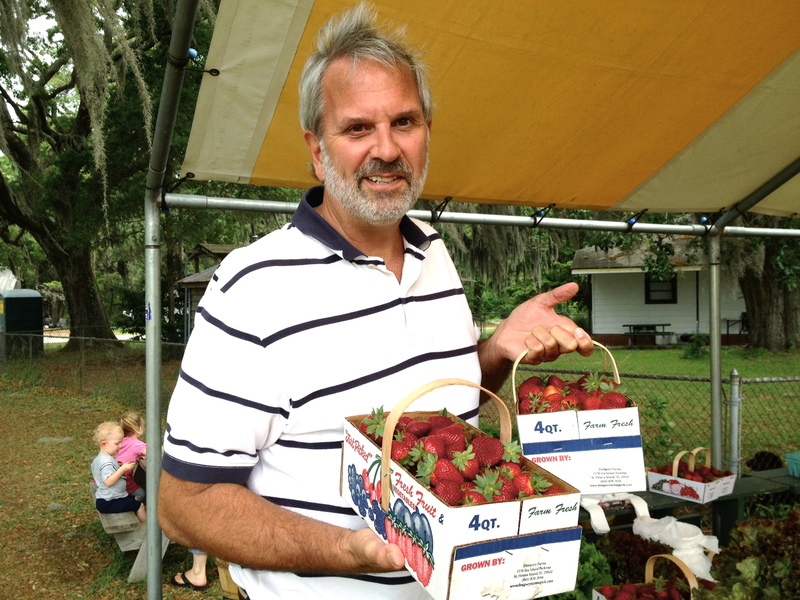 In case you didn’t recognize this fellow without his apron, this would be me, holding 8 quarts of strawberries. 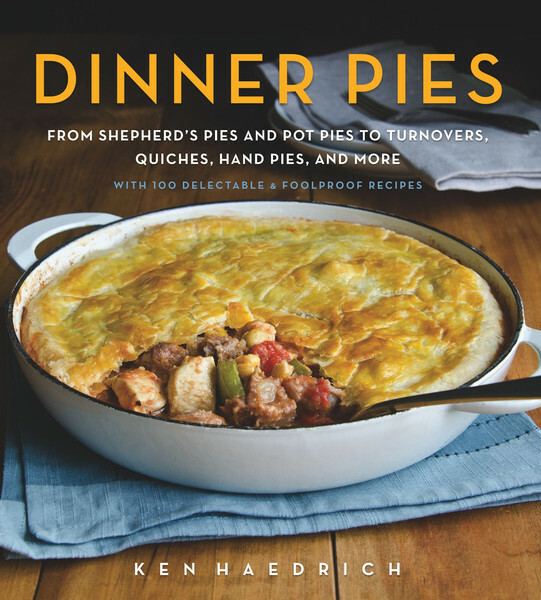 Don’t panic: you won’t need 8 quarts to make this pie, just two. And in case you’re wondering, my hair doesn’t normally stand up straight like that. It only happens when I’m holding strawberries and someone takes my photo. 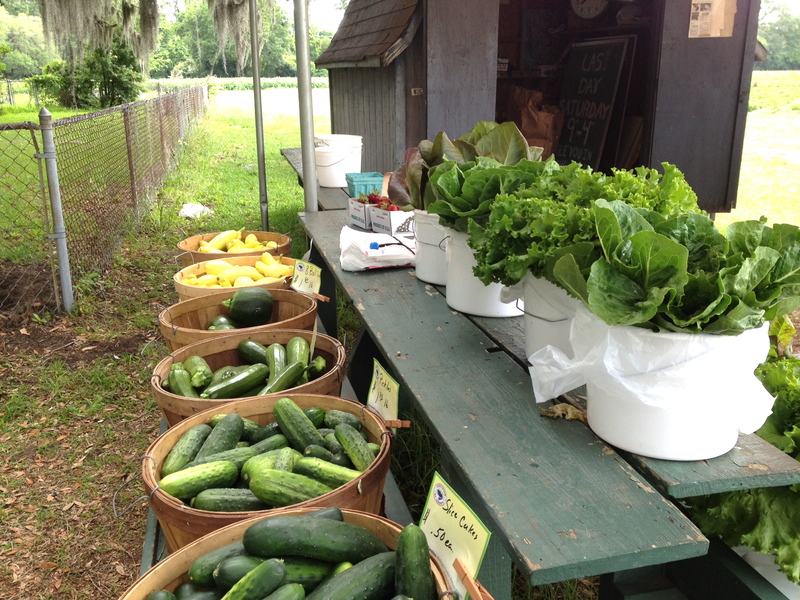 While I was standing there, a young woman with a baby strapped to her back picked up a cucumber and asked the gal working the stand if they were pickles yet, and if not, did she have to do something to make ’em that way? This is Rosie, the Dempsey Farms farm stand mascot. She’s very friendly and we had a nice conversation about her favorite recipes, one of which she demonstrated for me. You will need one plumb strawberry. 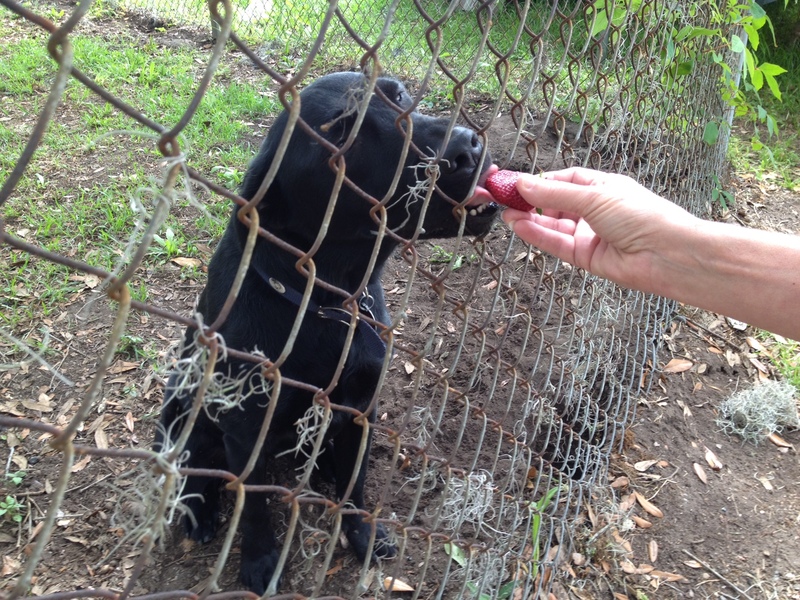 Take the berry and paw it around in the dirt, breading generously. Bury briefly in your favorite hole, paw it out, and eat at once. Makes 1 serving. 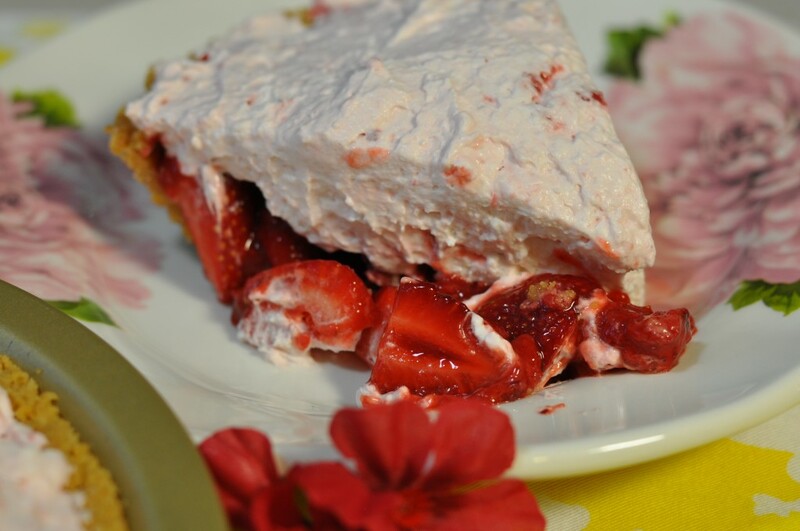 I call this Dempsey Farms Strawberry Pie, but in fact the recipe is mine, not theirs; I’ve simply named it after them because they grow such delicious berries. Truth is, it’s barely even a pie; more like a thinly veiled excuse to eat fresh berries and whipped cream to your heart’s content. The layering goes like this: my Pecan Graham Cracker Crust – or your favorite graham cracker crust – covered with a layer of fresh strawberry sauce and fresh berries. 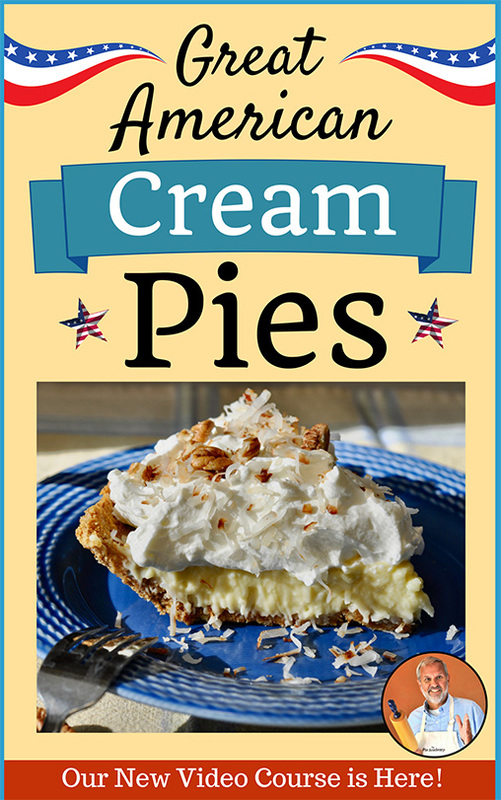 Fold more of the sauce into whipped cream, top the pie with it, and you’re done. That’s it. 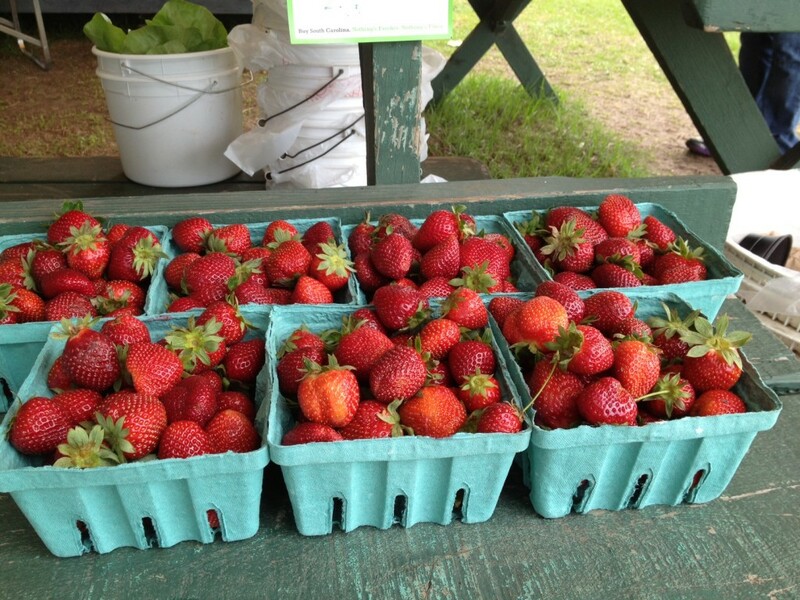 Now go find some good fresh strawberries and have yourself a fabulous Memorial Day weekend. 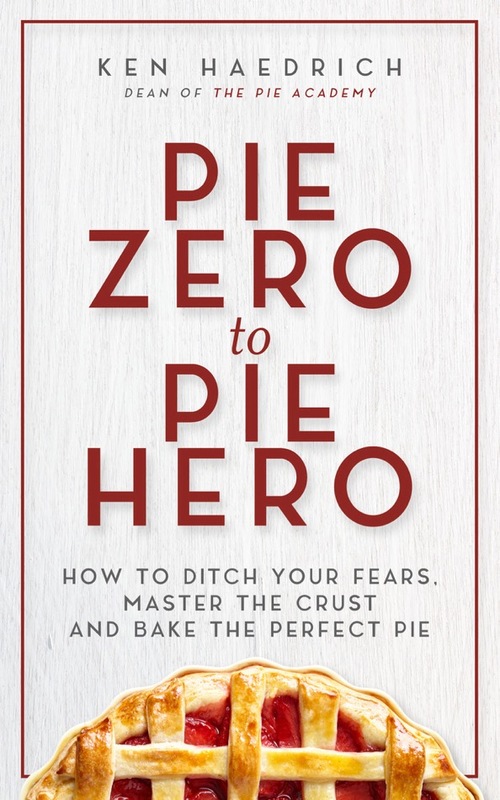 PIE CRUST NOTE: Most crumb crusts will work fine with this recipe. Use your favorite graham cracker crust, or my pecan version below. 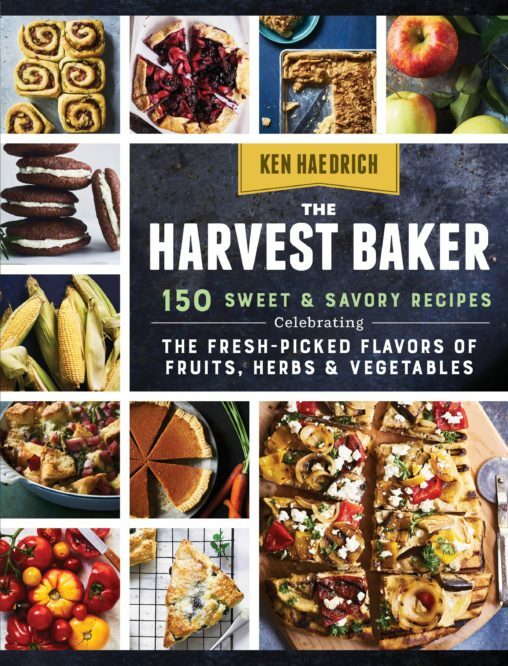 TO MAKE THE CRUST, combine the pecans, sugar, and flour in the bowl of a food processor and pulse the mixture until the nuts are finely ground. Transfer to a large bowl and mix in the graham cracker crumbs and salt. Add the melted butter and mix well with a large fork. Drizzle 2 teaspoons water over the mixture and then rub the mixture with your fingers until it is well combined and slightly clumpy. 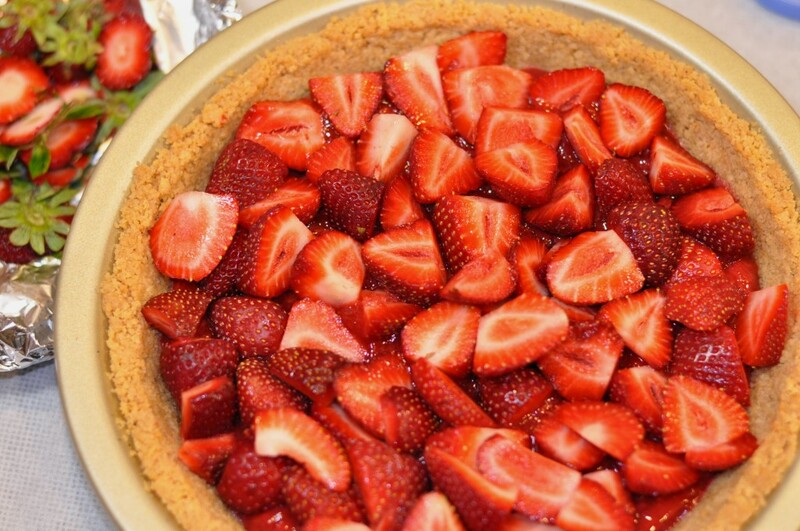 TO MAKE THE FILLING, halve 1 quart of the strawberries and put them in a large bowl. Stir in the 2 tablespoons sugar and the lemon zest. Set aside for 10 minutes. Using a chilled bowl and chilled beaters, whip the cream with an electric mixer until it begins to thicken and hold soft peaks. Add the confectioners' sugar and continue to beat until stiff but not grainy. Fold in 1/2 cup of the cold strawberry sauce. Refrigerate. 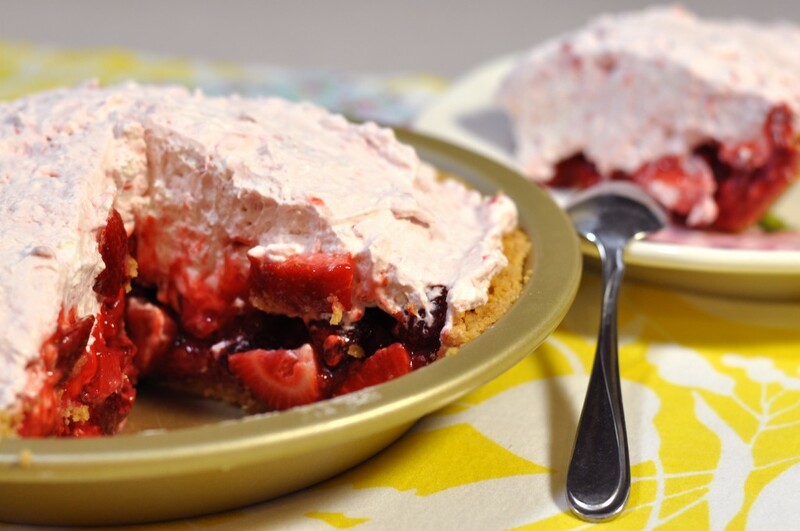 To assemble the pie, spread the remaining strawberry sauce evenly in the pie shell. Halve, quarter, or chunk the remaining fresh berries and spread them evenly over the sauce. (You don't need to use all of them, if you don't want a too-thick layer.) Spoon the strawberried whipped cream over the top and serve as soon as possible. Makes 8 to 10 servings.